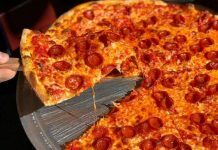 The first pizza joint opened in New York City in 1905. 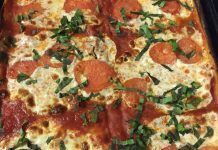 Located on 33rd Street and 3rd Avenue, Brickoven Pizza 33 is a family owned pizza restaurant founded in 2000 by Emilio Rino Lacerra. This native from the Almalfi Coast is working with his son and they offer a long list of thin crust pizzas. 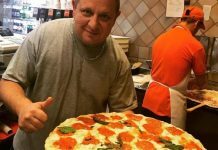 A funny thing : on their website, you can watch a video featuring Emilio preparing and cooking a pizza in his brick oven pizza. Da Andrea is a traditional italian restaurant founded in 2001 by Andrea Vecchietti and GianPietro Branchi, two chefs from the Emilia Romagna region. The specials change daily according to the fresh product they find on the market and all of the pastas and focaccias are home made. During the summer, you can enjoy your dinner on the sidewalk patio. The Emilia Romagna is not so far! 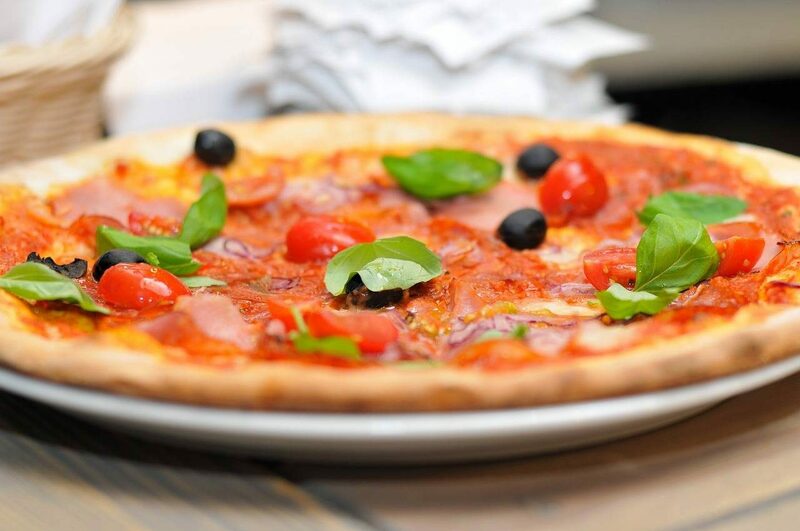 Established in 2004, Fornino gives you the choice between 3 "generations" of wood-fired pizzas : from the traditional Neapolitan recipes to the new flavours, with Black Winter Truffle or Chicken Sausage. The chef, Michael Ayoub, was the first ever Brooklyn chef to be reviewed by the New York Times and he is also an artist: he has personally handblown the light fixtures inside each of his restaurants! Fornino has 2 locations, including the Brooklyn Bridge Park. Located in the East Village, this italian restaurant and wine bar is inspired by the Janus, the Roman god with two heads. Giano is also facing two directions : on one hand, the atmosphere is modern and, on the other hand, the menu features traditional receipes, from homemade tagliatelle to chicken milanese. In summer, enjoy the outside terrace. ocated since 1985 in the Garment District, the Fashion District, Lazzara's Pizza and Café is inspired by fashion. A lot of clients are working in the fashion business and Calvin Klein himself is one of the regular clients. Sebastian and Tony Lazzara propose a wide choice of square thin crust pizzas. Apart of pizzas, you can also order pastas. The new menu features their signature "Ravioli Pesce", Lobster and Ricotta filled ravioli in a baby shrimp marinara sauce. Frank Volpe has founded his own pizzeria in 2007 in the busy Washington Avenue, in Hoboken (New Jersey). Since then, he proposes Neapolitan style pizza, fresh pasta, paninis and wraps. Don't hesitate to create your own pizza, by adding toppings. Desserts will also bring you to Italy, from tiramisu to Nutella pie! 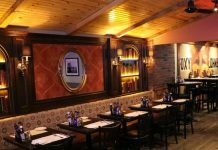 Since 1944, Patsy's has been a traditional, family-owned and operated Italian restaurant dedicated to the Neapolitan cuisine. Among the signature dishes, enjoy the Veal Chops Siciliano, the Chicken Contadina or the Calamari stuffed with seafood. Patsy's attracts a varied clientele, from extremely loyal following of regular patrons to… celebrities, including Robert de Niro, Madonna, George Clooney or Calvin Klein. You are looking for a restaurant with reasonable prices on Times Square ? Welcome to Patzeria Family Friends ! Opened for breakfast, lunch and diner, this italian restaurant offers a selection of italian entrees, pizza and pasta, including gluten free pasta. Ask for the famous neapolitan pizza of the mozzarella sticks ! Good to know : enjoy the happy hour from 11 AM to 4 PM. 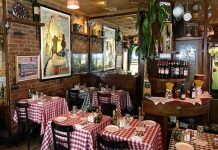 Founded in 1987 in the West Village, this Trattoria offers a warm and typical italian atmosphere. The menu features all the great Italian recipes, from the minestrone soup to the veal Marsala. Pasta is obviously in the spotlight: tagliatelle, fusilli, spaghetti, penne, rigatoni, lasagne ... A long list that stretches like the Amalfi coast! 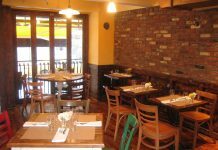 Located in the Theatre District, Trattoria Trecolori is a family owned and family run restaurant since 1991. The original owner, Joaquin Gonzalez, or "Jack", is now succeeded by his three sons Marco, Victor and Phil. The menu is purely italian with a wide selection of pastas, from the spaghetti alla carbonara to the linguine alla vongolle. Ask also for the Ricotta Cheesecake, the Tiramisu, the Carmel Custard or the Chocolate Cake : everything is homemade !